After a long time without a final version launch , today we are super happy to deliver you a Final version 4.4.4.2000 . This final version addressed many problems, such as one core crash problem, fixed login problem in session window, YouTube video slowness, security issue with extension center and so on. 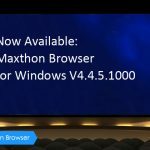 Maxthon team is working hard and more new versions are currently underway and we look forward to sharing them with you soon Please download the latest version of Maxthon for your Windows. Appreciate your great continuous support! Enjoy! Fixed page disorder problem when using Touch screen zoom and using ctrl+scroll. Very good friends, on a weight to control the ads abusive and many that are malicious and appear in a variety of sites to irritate the users. Actually on my pc the loading of the videos was a little slow when comparing with other browsers (Opera, Yandex), and another problem that I faced was to log in to Maxthon Passport, experiencing a delay in the synchronization of data. I believe that these problems have been resolved. 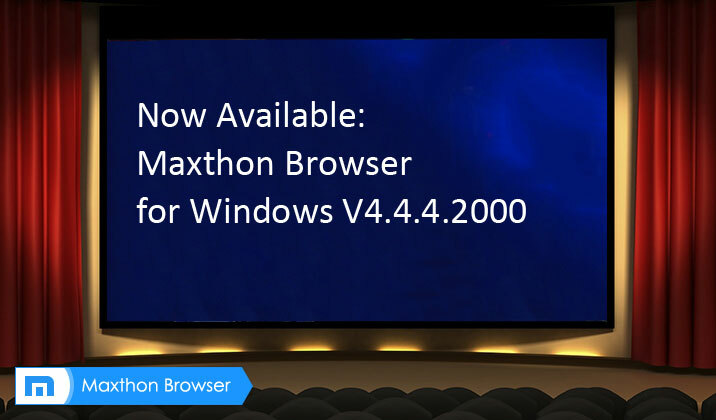 The updates of Maxthon are a little time consuming but whenever they are released, many features are incorporated. Please continue with the good work and don’t let the features that we love in Maxthon are lost in time. Thank you for the space friends. #Maxthon. It consumes less memory, than ABP. the website looks too vague. does not say down load to block ads or anything like that. 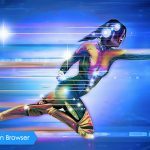 what is this site? ABP… Why the heck did they take out Ad hunter? I love this update the adblock actually works and has blocked over 2,000 ads for me so far. Great job! i am new maxthon user today and its too slow! every time i want to write comments or scroll in youtube or news channels (as i do now with this david sweat capture), i am held back. arrrgggghhh! please fix for people who like to write comments and scroll quickly!!! Thank you for your attention and interest in Maxthon! 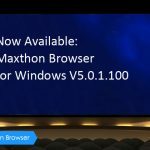 Which Maxthon version are you using now that is not compatible with Win10? Please tell us so that we can identify the cause. Can I use custom filters? How to add them? I actually found this more eninatrteing than James Joyce. How much is the comment here? your site is perfect ! !